When it comes to having a successful tomato garden this year, the most important step you can take doesn’t involve a shovel, a tiller, or even a speck of dirt. The most important step is planning. Here’s what to consider as you plan growing this year’s tomatoes and vegetables in the garden. Plan what varieties to grow. How do you plan to use your tomatoes – in salads, for canning, for drying, for snacking? Do some research about tomato varieties to find out about disease resistance, when to plant them, and how long until fruit is ready to harvest. Choose tomatoes that meet your needs. Plan how many tomatoes and other vegetables to grow. 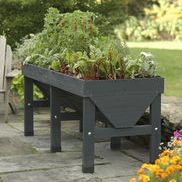 How much space can you devote to your garden? How much time are you willing to invest in planting, watering, weeding, and harvesting? How many tomatoes and veggies can you use, process, and give away? Although a garden can be as labor-intensive as you choose, a common beginner’s mistake is in underestimating the amount of time you need to invest during the growing season in order for your garden to be productive. Plan where to grow your tomatoes and veggies. Choose a sunny, convenient spot with access to water. No matter what type of vegetables you plan to grow, make sure your garden plot gets at least 8 hours of direct sun a day. 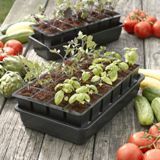 Careful thought and planning now will maximize productivity in your garden, help you grow healthy tomatoes and vegetables, and save you extra work later on. Check out more detailed information about starting a vegetable garden and understanding different tomato varieties to get yourself ready for the new growing season. And get helpful tips about planting tomatoes on our Planting Tomatoes Pinterest board. 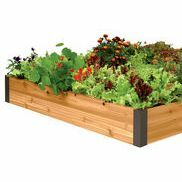 You can maximize your garden’s productivity when you create a garden layout. This drawing can be as simple or as detailed as you like. The first step is to determine the actual size of your garden space. Measure your plot carefully on all sides. Accurate measurements will allow you to plan how much room you have for plants. Then use a sheet of graph paper to plot your garden. Draw the garden plot according to scale. Label areas which get full sun, part shade, or full shade. 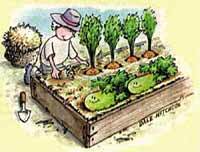 Using a pencil (so you can easily make changes), sketch rows, blocks and raised beds on the plot according to scale. Set up garden with tallest crops facing north, so they won’t shade shorter crops. Be sure to include space for the plants themselves and in between the plants and the rows. 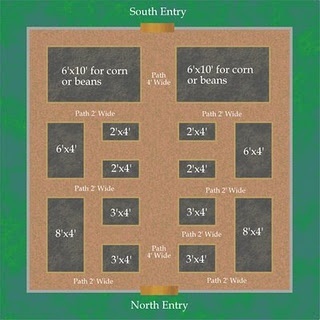 Get more fun and practical ideas for your garden layout on our Gardening Layouts Pinterest page.